How will the work in 2015 affect me? The Library is open 24/7 so you can study at times that are convenient for you, It will not close during the development work. 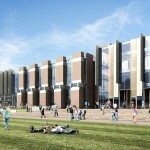 The extension will be completed in spring 2015 and is the flagship project of the University’s 50th anniversary celebrations. Access over 1 million books, journals and multimedia items, many available online – specifically chosen to support the courses and subject areas taught at Kent. 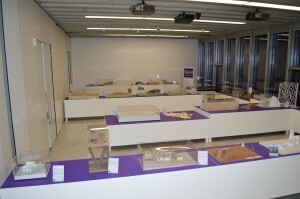 All collections will be available during the development work. The Library catalogue, reading lists and a virtual learning environment help you discover and access the best resources for your studies, with user-friendly search and study tools. 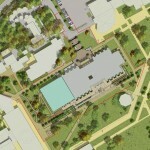 The location of materials in the Library may vary during the development work, but the catalogue location information will always guide you to the resources you need. 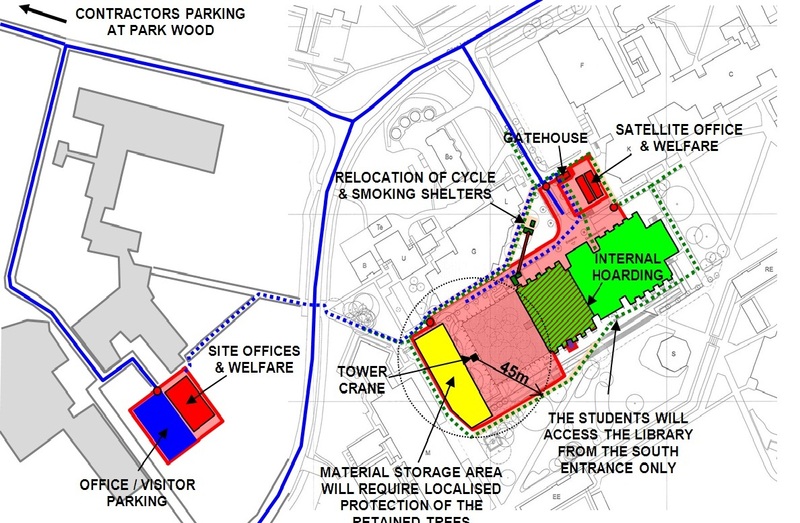 Students have a wide choice of silent and quiet study zones, a social learning zone with café and IT facilities, and group study facilities. 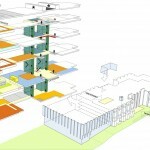 The silent study zones are located to give the optimal student experience. The Library offers hundreds of student PCs, loan laptops, WiFi, photocopying and printing facilities. 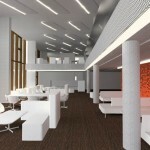 These will be available during the development. Get help with your queries or in-depth support and training – in person, over the phone or online, whichever suits you best. With online access to library and IT resources 24 hours a day, you can take control of where and when you want to study. 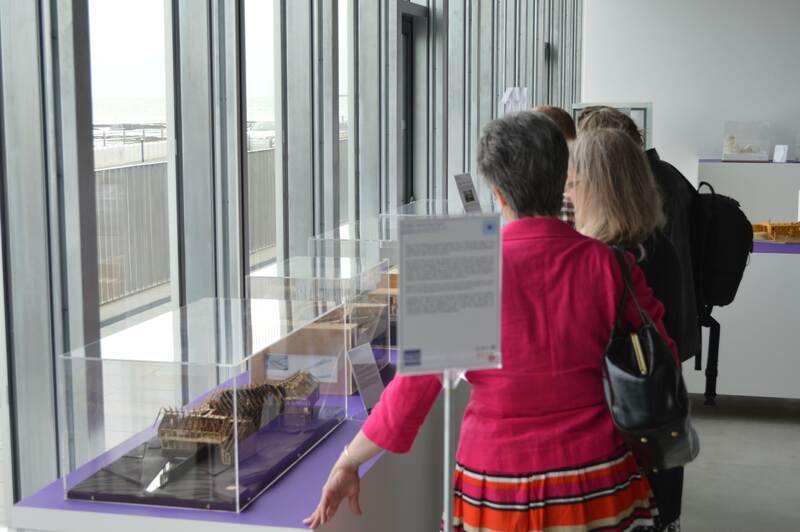 The Library houses its own Special Collections and the British Cartoon Archive and has a partnership with Canterbury Cathedral Library – giving you access to rare, historic and specialised material relevant to a wide range of subject areas. Free Wifi access is available across the campus, including the Templeman Library, for you to use laptops and mobile devices. 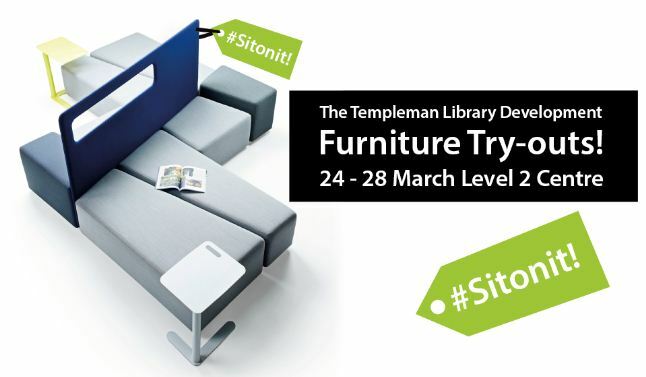 We’ve had some great comments from students and staff on the furniture samples on level 2 centre of the Templeman Library. Once we have analysed the feedback we will let you know what was popular and why. This clip is taken over a number of days and shows a sneak preview of what’s going on behind the hoardings. 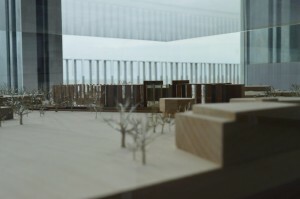 We have time-lapse cameras capturing footage of the development, and this is the first short clip. It shows the West end fire escape being demolished. The demolition was expected to take all weekend, with the camera taking a picture every 3 minutes. In reality the whole thing was all over in minutes, despite the rain! 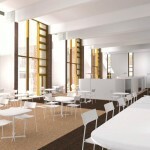 A sneak preview of the extension and early drafts of the inside furniture layouts. 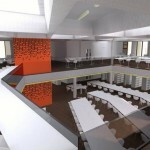 We will be holding workshops with students and staff to finalise furniture layouts and colours during Autumn term 2013. 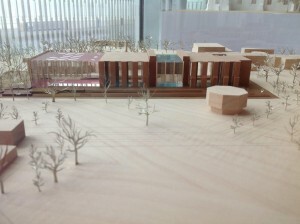 It seems a long time ago since we started planning for the Templeman extension and refurbishment of the existing building. Designs have been finalised, planning permission granted, trees removed and now it’s all about to begin on the 12 August. 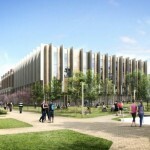 Contractors will be setting up the site and with the Library located at the centre of the Canterbury campus it will be quite a different view come the end of August. 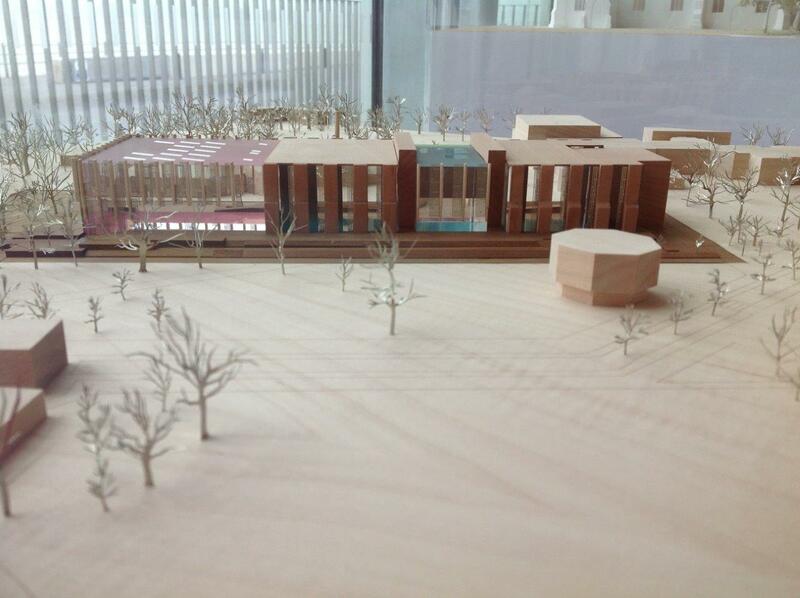 Hoardings will surround the site and entrance to the Library will be via the front only. 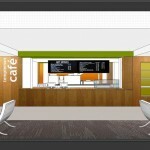 There is a picture of the site setup to give a flavour. The message to staff and students is that it’s “business as usual” to access materials and for studying, although at times locations may vary. 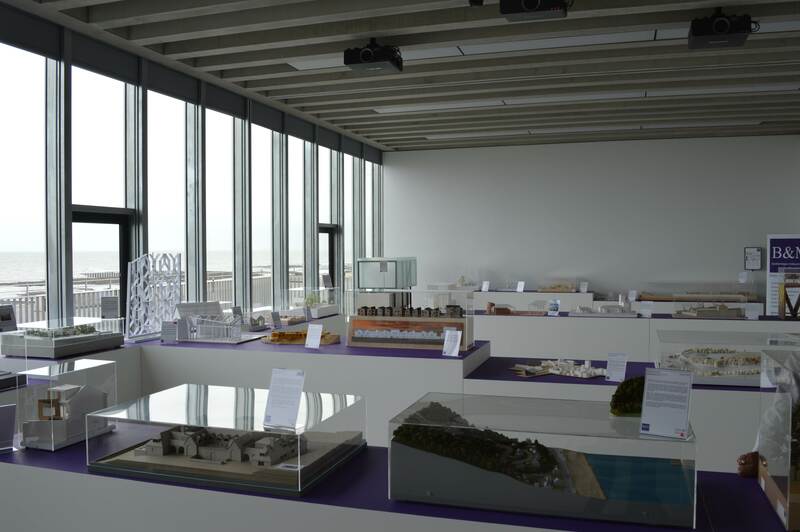 In recognition of the RIBA’s Love Architecture Week 2013, Kent based firm Betteridge & Milsom hosted an Architectural Models Exhibition at the Turner Contemporary Gallery in Margate, Kent from Thursday 27 to Sunday 30 June 2013. 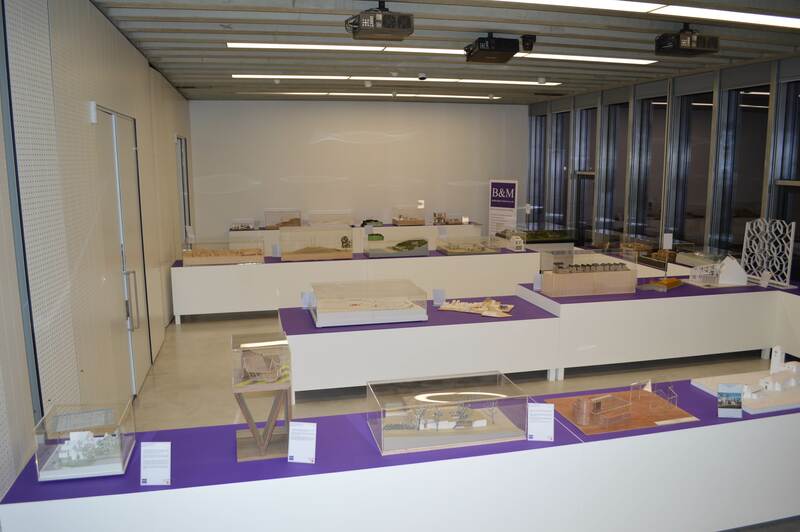 The exhibition showcased 40 awe-inspiring scale models of a variety of buildings, from one-off residential developments to large iconic multi-million pound schemes, designed by Kent and London based architects. 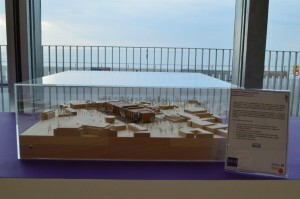 We are pleased to say that the model of the Templeman development is showcased in the exhibition. 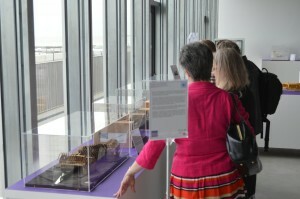 The walkthroughs of the new Templeman Library development proved very popular. This is the next in the series. 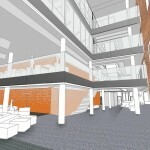 Level 1 East will contain the core text collection, two training rooms and four consultation rooms for IS staff and students. The current IS Library Collections team offices will remain largely unchanged. 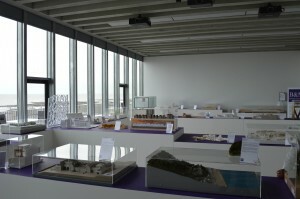 The walkthrough opens showing the consultation rooms – spin round to see the core text collection. The colours are not finalised, it is just an indication of where colour might be incuded. The desk and detail of the core text collection will be developed in conjunction with the staff in that team over the coming months. The “walkthroughs” require Flash and open in the browser. You can use the mouse or keyboard arrow keys to move around the space. What will the Library extension look like inside? We are starting to work on the detail of the exciting Templeman Library extension project and have prepared some “walkthroughs” of some of the spaces. 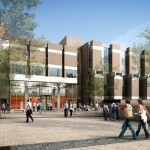 The last one shows the remodelled entrance to the Library. Workshops to look at furniture layouts and design will take place during Autumn term 2013 and will involve feedback from staff and students, the layouts in the “walkthroughs” are just examples. The “walkthroughs” require Flash and open in the browser. You can use the mouse or keyboard arrow keys to move around the space. If you scroll to the bottom of the screen there ar more thumbnails to choose from.